While working at Advantage Services, I developed a commercial real estate site implementing the proprietary company CMS. The first project I built working with Advantage Services. 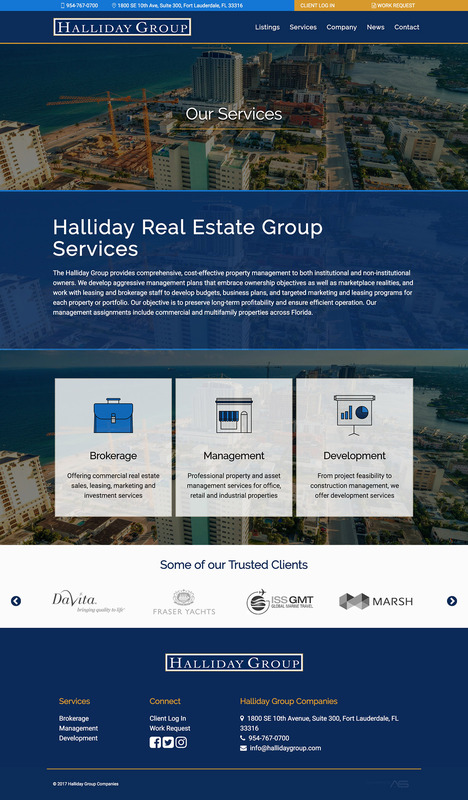 A commercial real estate site that integrates with a proprietary content management system. Includes the ability to list properties, and a blog section. I was given a PSD of the homepage and was responsible for building the rest of the pages off of the concept given. I was responsible for integration work as well.